Eros International Media Ltd (Eros International) has announced Trinity Pictures, its franchise feature studio will roll with its next film, Haathi Mere Saathi in January 2018. The trilingual film will be shot in Hindi, Telugu and Tamil and will star Rana Daggubati in the lead and will be helmed by acclaimed director Prabhu Solomon (of Kumki and Mynaa fame). The movie, a brand-new story inspired by true events will be a tribute to the classic super hit animal film—Haathi Mere Saathi. With shooting commencing in Thailand in January 2018 along with various locations across India, the film will be mounted on a scale with never-seen-before visual effects in this genre. Speaking on the announcement, Ajit Thakur, CEO, Trinity Pictures said, “Continuing to build our promise of mega franchises based on completely new and contemporary stories, we are very excited to announce Haathi Mere Saathi. I have been always inspired by this space and it’s a dream to create a true-blue animal film signifying a deep and strong bond between humans and animals. Elephants, the largest land animals on the planet, are among the most expressive of creatures. These giants can depict the finest emotions like joy, anger, grief, compassion, love reside in them and with Haathi Mere Saathi, we are hoping to present a truly enjoyable, entertaining and thought-provoking animal film for all ages. And with Prabhu Solomon’s passion and Rana Daggubati’s star power, we have the best team on board to realise this dream”. Director Prabhu Solomon said, “I once again commence a journey with one of my favourite subjects – elephants and happy to have a leading studio like Eros & Trinity back it. Elephants are truly amazing, intelligent and magnificent creatures and humans can take notes from the way they live, think and act and love. It will be quite exciting and a first for me to shoot the film simultaneously in multiple languages and I’m looking forward to the experience”. 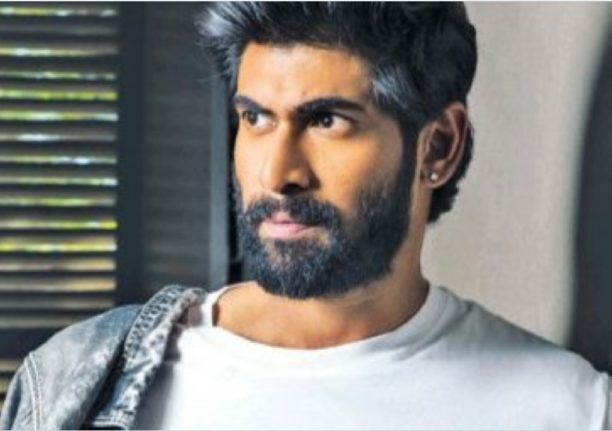 Rana Daggubati added, “There’s a very exciting physical language to the character I’m playing in ‘Haathi Mere Saathi’ something entirely different from what I’ve done in the past. I’ve always wanted to be a part of content that can travel across the country, and am very happy that Trinity is backing cinema of this genre. It’s a rare story about the relevance of nature in our lives, narrated through a wonderful relationship between man and elephant. This story is definitely another of those rare challenges I’m beginning to enjoy being a part off. Prabhu Solomon passion for nature and elephants makes him probably the finest craftsman in the country who can handle a story like this”. Haathi Mere Saathi is slated to release on Diwali 2018.